On the day of Pradosh, One worship lord Shiva. It is important to overcome dosh and difficulties. It is known as Shani Pradosh, if it comes on Saturday. Lord Shiva and Shani’s worship is done on this day. People who are facing progeny problem they should worship lord Shiva on this day. People who are suffering with problems relating to Shani, they should worship lord Shani. There would be relation of Shani and Moon on this Shani Pradosh. It is beneficial to overcome mind related problems. Jupiter is away from the effect of Rahu, but they are very near of each other. Sun is settled in its exalted sign. Therefore, it is easy to overcome Sun related problems. One can also get rid of from other problems. First, take bath and worship lord Shiva. Offer water on Shivaling. Chant “Om Namah Shivay” for 108 times. Light one face mustard oil lamp under peeple tree in evening. Chant “Om Sham Shaneswaraye Namah” for 108 times. Donate food to poor people. You can also feed them. You can also donate shoes, umbrella, sesame or black lentil. Worship to get rid of problems after donating stuff. 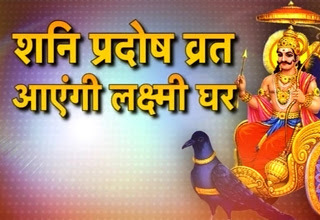 If you are facing some problems due to Shani then you should plant peeple tree on this day. You can also serve peeple tree. Wear iron ring. Feed any poor person. You can also worship lord Shiva or Krishna. Chant “Namah Shivay” psalm. Remedy: Do not keep open your books and pen. It decreases concentration and memory.